Perfect for parties ... and we love to keep them on hand for guests to take drinks home in, cute cup to run errands with, or an afternoon by the pool! 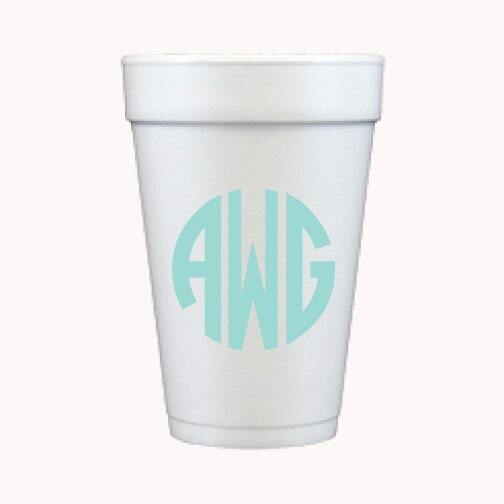 *we can also do 20 ounce cups at no additional charge. just let us know in the notes section when checking out if you prefer a larger cup. 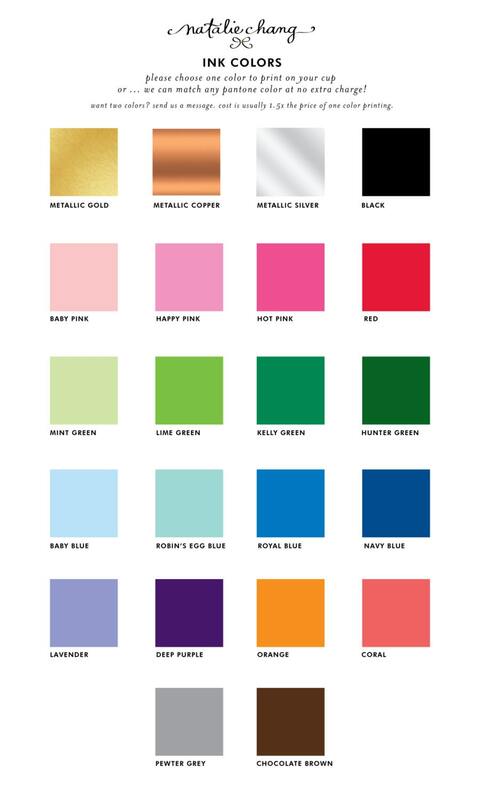 *Note: our Color Chart coordinates with our napkin colors, if you are ordering those too! * or send us the full name and we can create the monogram for you! We will custom print this order for you … Please allow three weeks to arrive on your doorstep!